No morn – no noon! This is the second time this has happened to me and my tires this year. Sadly, this is a brand-new tire. Fortunately, both of my 2013 tire casualties were slow-leak cases and not all-at-once blowouts. The first time I discovered a flattened tire on my vehicle, a summer Sunday evening church activity had just concluded and I was wearing a dress. So, I was grateful that there were good lights in the church parking lot and that a personable young man (attired in suit and tie) gallantly took over, removing the flat and installing the spare. I went to my tire shop the next morning, and all was eventually well, especially since my tires were still under warranty and the shop gave me a brand-new tire when the flat proved to be irreparable. 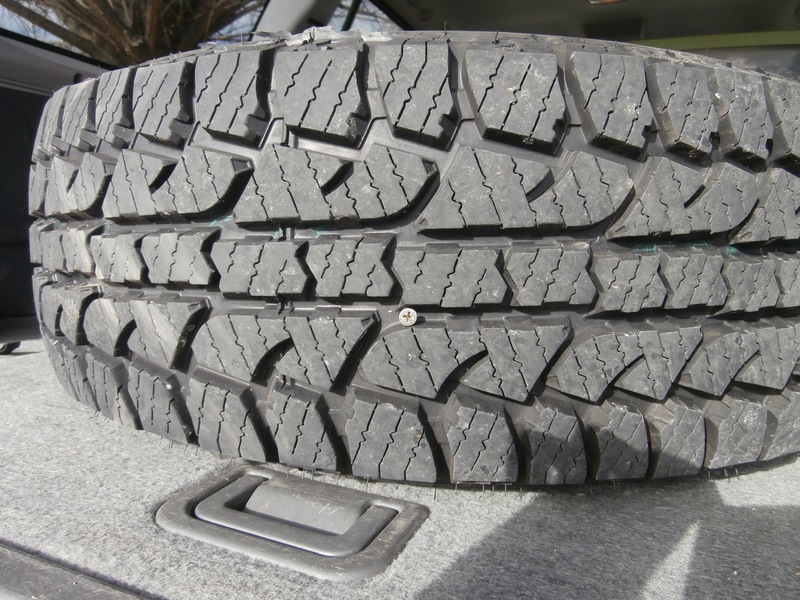 Then, because I had three pretty old tires and one brand-new tire on my vehicle, I bought another new tire, just to even things out until spring, when my budget will allow for all my tires to be new. So, although I had the sad experience of driving over a screw this weekend and getting a slow-leaking flat tire a result, my tire tribulations could have been much worse. I’m just hoping that the third time will not be the charm. During the past summer, I fell in love with almond extract and coconut oil. I used them in just about everything I baked. 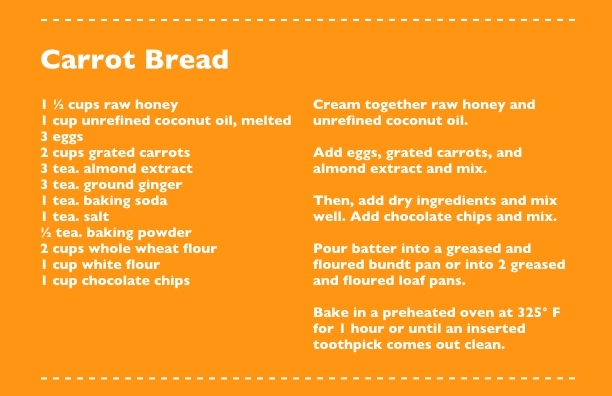 Because I had a lot of carrots to use up, I tinkered quite a bit with a zucchini bread recipe and came up with this carrot bread recipe, which I found pleasing.